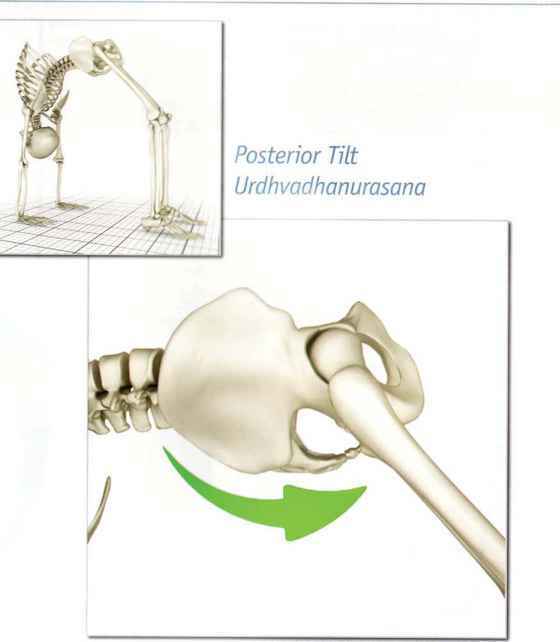 Uttanasana, or "Standing Forward Bend," is introduced as Position 3 in the Sun Salutation series (Fig. YPS.1d, page 116), where it is described and illustrated in the full pose. This asana is a great stress-buster for relieving both physical and mental tension. It's possible to practice modified variations of Standing Forward Bend for a gentler and more restorative approach to releasing tension in the back and hamstring muscles. In the full pose, the upper torso is folded over the legs. The legs remain as straight as possible and the palms of the hands are placed alongside the feet, fingertips in line with the toes (see Fig. YPS.ld, page 116). One variation of Standing Forward Bend is to fold the upper torso forward while you keep the knees bent, and grasp the ankles or shins with your hands to help give you support (see Fig. 13.1a). Another variation is to rest your torso over your thighs as you hold each elbow with the hand of the opposite arm (see Fig. 13.1b). These modified approaches to Standing Forward Bend are especially easy to perform and you can do them virtually anywhere, anytime. Try practicing these poses as a "yoga break" at the office or when you get home from work as a stress-busting transition to the rest of your day.